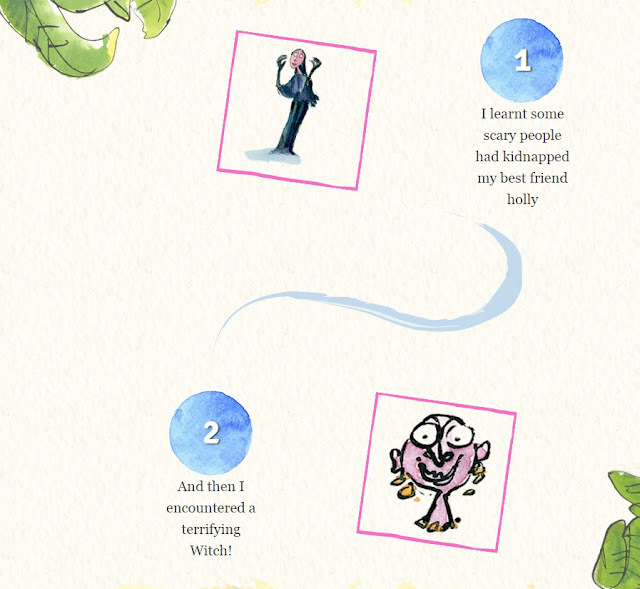 For the first time ever, some of the best loved Roald Dahl characters have been brought together in a brand new interactive adventure by Persil, the Roald Dahl Literary Estate and the illustrator, Quentin Blake. The ‘My Messy Adventure’ story is a tool which helps your child to create their very own Roald Dahl story featuring themselves as one of the main characters who stars alongside The Witches, Matilda or James (of Giant Peach fame). Each story evolves with your child as they choose options and take photos to fill the story in their own way. The story is interactive and prompts your child to get up and take photos of things they can see and collect both indoors and outdoors. Lara found the reading manageable but I think I would recommend it for assisted reading from about 4 years old and self-reading from about 6 or 7. The ‘My Messy Adventure’ story can be accessed on a smartphone or tablet or you can access it from a laptop or PC as long as you have access to some stored photos to use as you go along. Lara preferred using it on the big screen so she used my phone to take the photos she needed to, then emailed them to herself for use from the laptop. From the very start of the process, Lara was enthralled. First up, she had to choose a Quentin Blake illustration that looked like her, so that she could appear throughout the story. Then she set to work taking photos of places, faces and people as the story unfolded. She kept disappearing out into the garden to collect things for her story - but that's OK, dirt is good, isn't it? We very much enjoyed making a Messy Adventure with Persil and I imagine Lara will want to create a few more over the summer! Look out for special limited edition Persil Small and Mighty wash packs in store!